Full-Service Agentur mit einem umfassenden Angebot rund um den Immobilienerwerb: Nachweis und Vermittlung von Immobilien, Vermietung, Mietverwaltung und Baubetreuung. Spezieller Service für ausländische Kunden, die alle Leistungen aus einer Hand erhalten. Mr. Zahareanu is professional in the real estate business, especially in Berlin. i used his services for selling and buying many apartments. Mr. Zahareanu is an expert in finding excellent investments for investors overseas. perfect interpersonal skills, he provides full service in every deal. 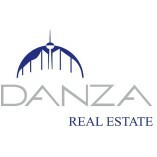 my advice - take only Danza Real Estate for your next real estate deal. I'm very comfortable with Dan managing my properties. I live in Cape Town, South Africa, so need someone I can trust. He is not only extremely trustworthy but also proactive in advising me on my apartments. Dan is extremely professional and responsive. He has great attention to detail and is efficient and personable. Nothing is too much trouble and we feel that he has our interests at heart. Extremely professional, responsive and friendly service. Highly recommended. I would like to thank Dan for the professional work, in identifying my investment property, follow the buying process and renovation phases all the way from start to end. It was all been communicated in quick timing and with the exact procedures need to be taken in any step. I enjoyed working with Dan and will recommend others to use his excellent services. Your message to Danza Real Estate e.K.